After our adventure into the the mountains of Norway, I was quite exhausted from the rain, cold and wind. We left Areplog with hopes of going to Jokkmokk, but our plans quickly changed when we were hit with freezing rain and hail outside of Arvidjaur. We still had over 100km left to Jokkmokk and I was frankly just to wet and cold to keep going. We found a nice campground stuga in Arvidjaur and I was quickly sold on the idea of skipping Jokkmokk and resting a bit before midsommar. We dried our gear overnight and then in the morning went with our Plan B to Storforsens Naturreservat. I am so happy "Plan B" became "Plan A" . The massive and violent rapids on the Pite River are some of the largest in Europe, THEE largest, depending on when they are measured. 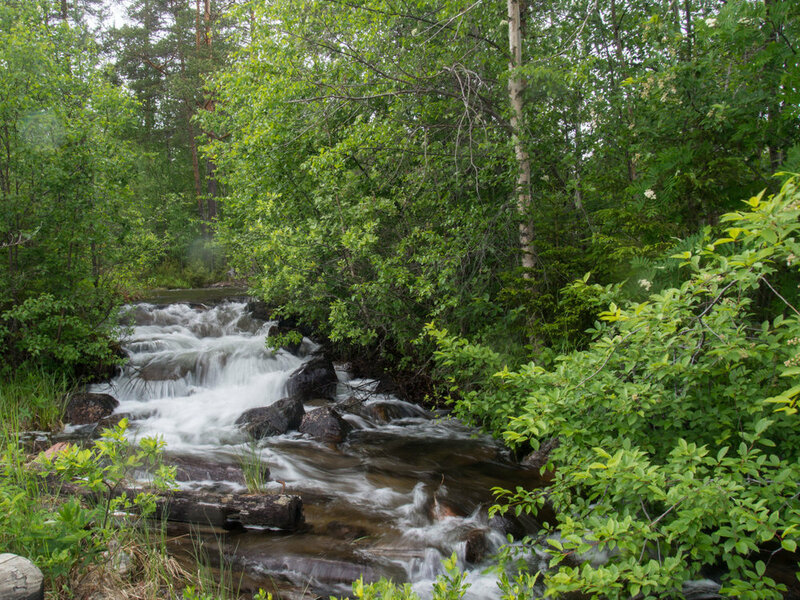 The week around Midsommar is usually when they are the largest, with a flow of 870 m3/s, so we got to experience the real deal. The few kilometer hike along the river allowed us to get REALLY close to the fast churning river. 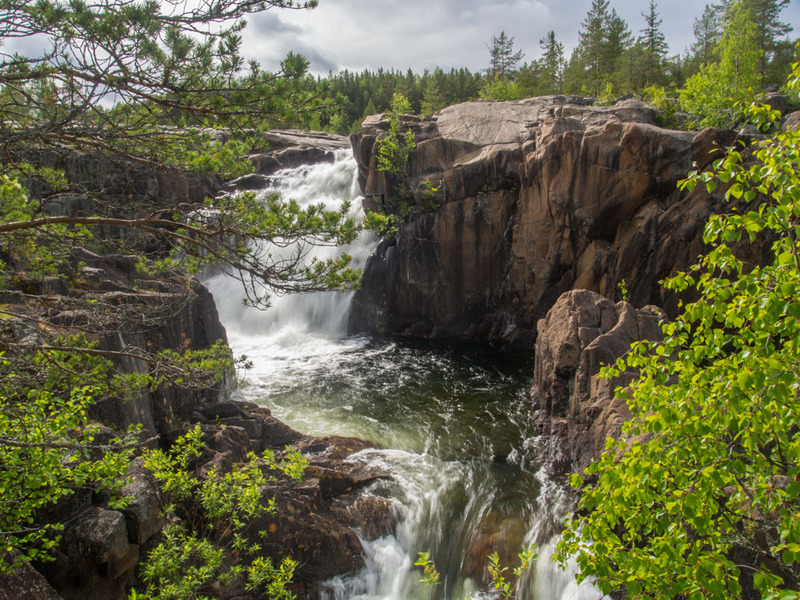 We spent hours along the rapids and had a nice picnic surrounded by some of the smaller waterfalls that branch off from the Pite River. We could have stayed there all day, but had plans to make it south of Luleå for midsommer, so we rode on through the cold and windy air to the coast, where we camped north of Luleå and set up tent up along the sea.